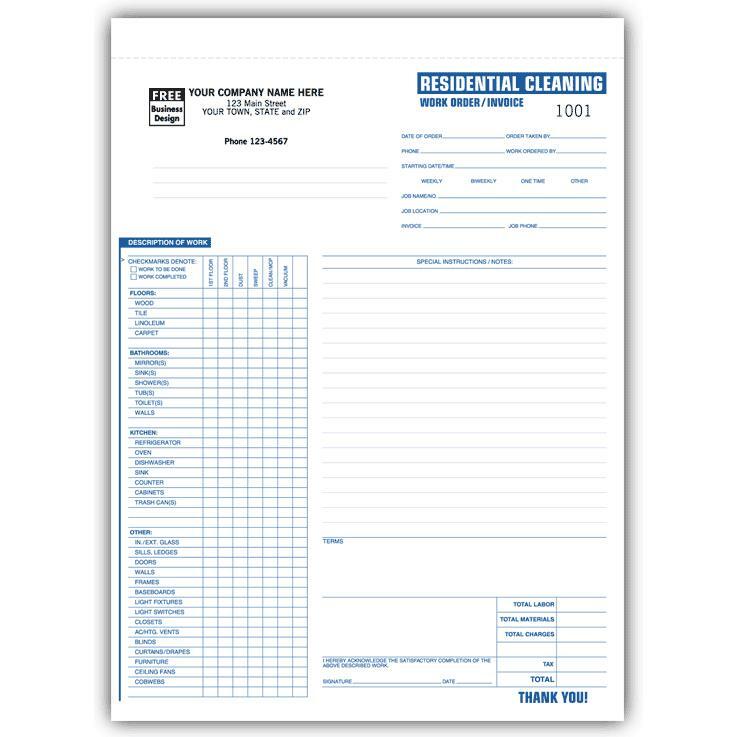 These work orders are designed and printed specifically for the residential residences. It is constructed in a snap set format and is perfotared for easy seperation. 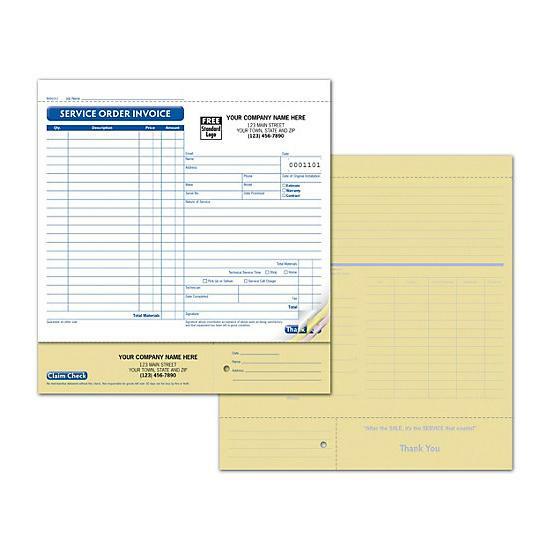 This carbonless work order provides the cleaning professional with an easy way to present and invoice to the customer whenthe job is completed. 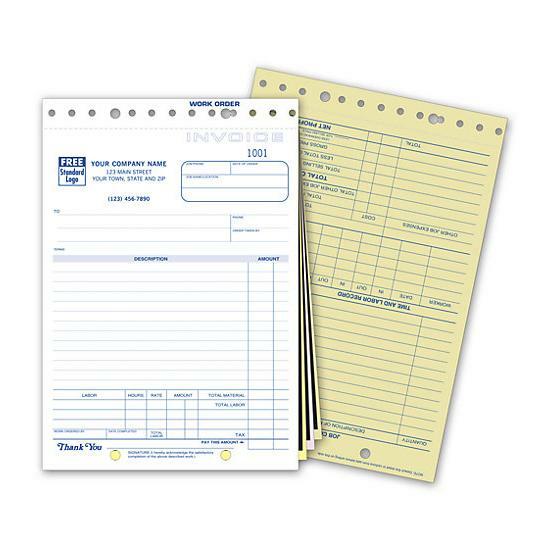 It is pre printed with all the elements to make the process smooth and easy. 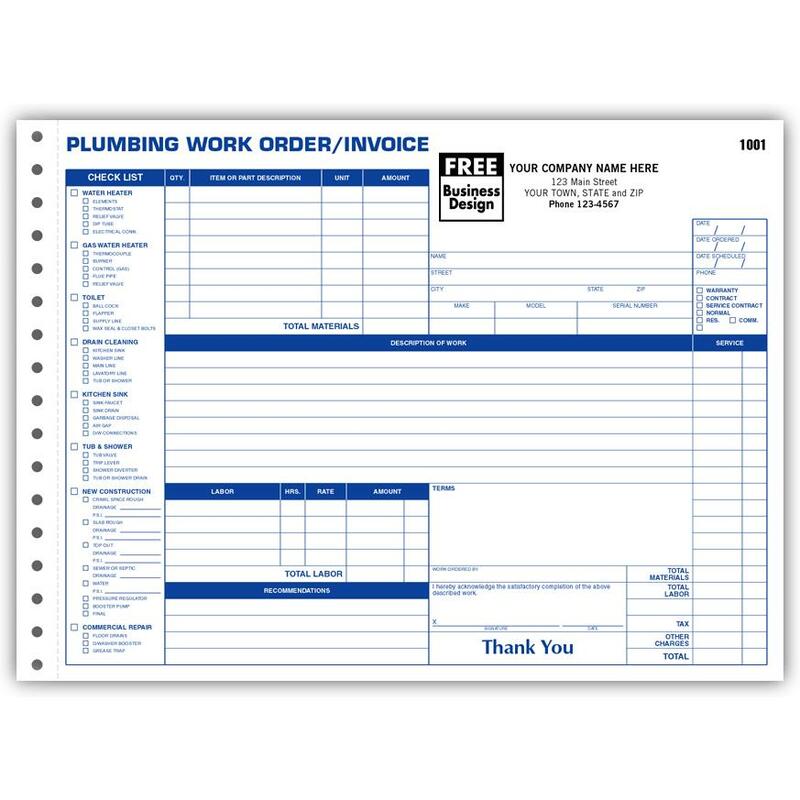 Add a logo and company information for customization.